Why settle for one, when we have so many to offer? 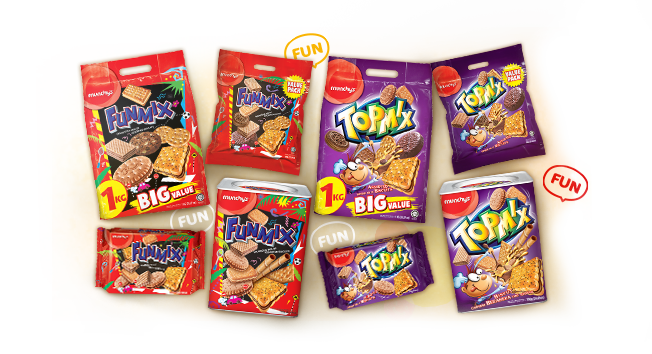 Indulge yourself with Munchy’s Assorted Funmix & Topmix packs, which bring all our best biscuits together in one bag. 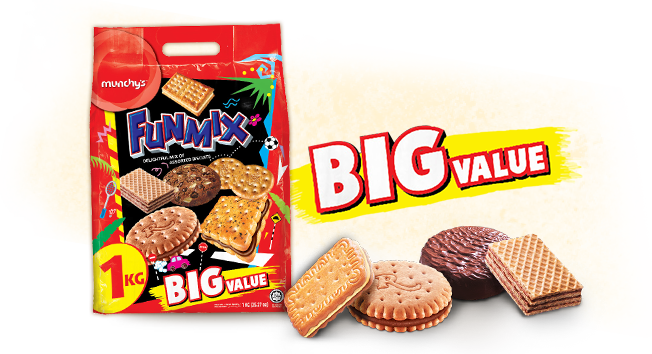 Individually wrapped according to their variants, these biscuits make perfect impromptu snack wherever you are. So go ahead, dip your hand in any Munchy’s Assorted Funmix & Topmix packs for that little indulgence. You know you deserve the treat. Treat yourself to a wide variety of cookies with different shapes, sizes, and flavours.